1% the weight of glass and up to 95% light transmission. 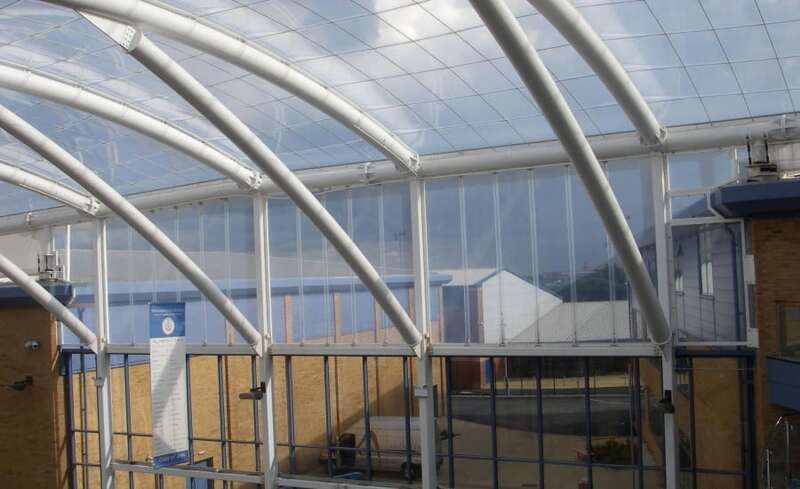 As an incredibly lightweight material, ETFE offers savings by being able to reduce both the size of steel and the size of foundations. A smart solution for spanning large spaces. Ethylene Tetra Fluoro Ethylene (ETFE) is a clear polymer that is extruded into a thin film (or foil) which is used to form either a single layer membrane or multi-layer cushions supported in an aluminium perimeter extrusion. 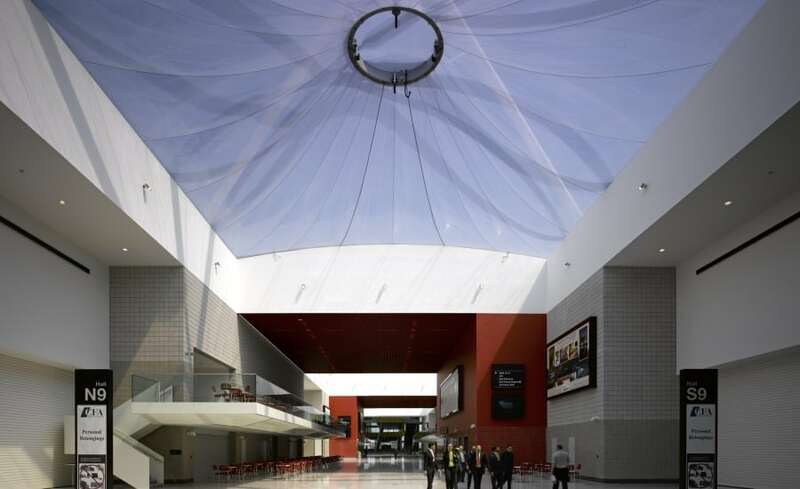 Lasting 35+ years, ETFE is built to last. 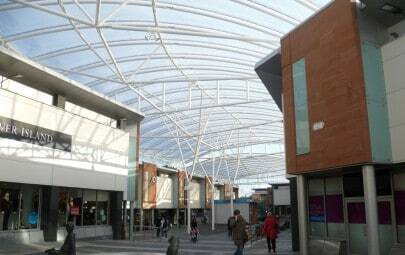 ETFE can be clear, tinted with colour or fritted where a pattern is printed on the surface to reduce light transmission. 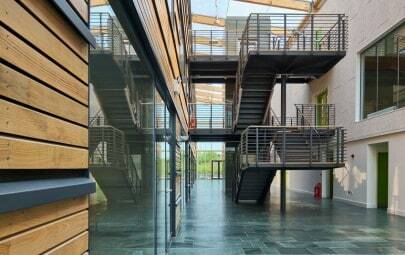 It is unaffected by UV light, atmospheric pollution and other forms of environmental weathering. The most common usage of ETFE Foil is multi-layered cushions. Cushions are kept continually pressurised by a small inflation unit which maintains the pressure around 200-300Pa giving it structural stability, and insulation. Power consumption for the inflation unit is between 60-100w. 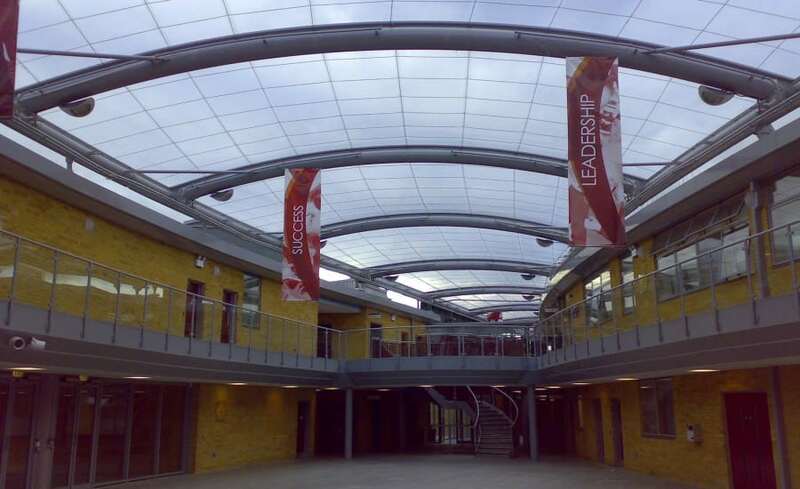 Alternatively, single layer ETFE does not require any inflation, making it a simple, economical solution for creating bright covered spaces. 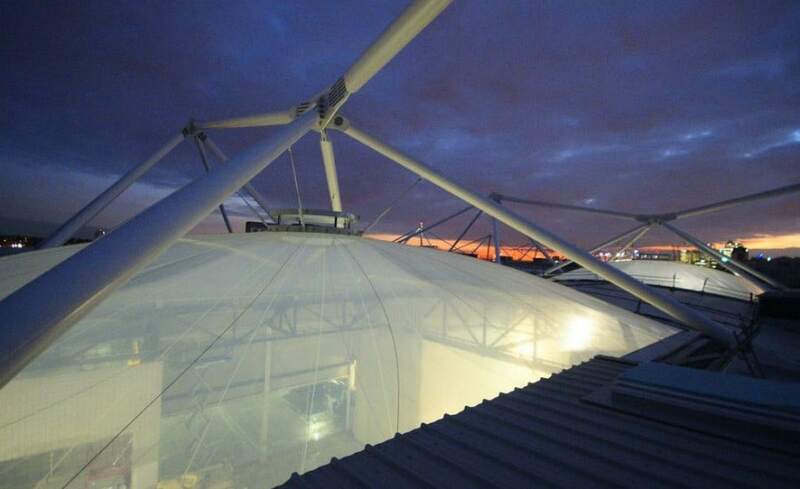 Because the surface of ETFE is smooth, environmental pollution and algae do not stick to it. ETFE self-cleans in the rain and requires minimal maintenance inspections. 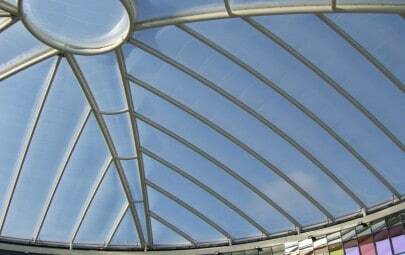 ETFE is shatter resistant making it a first choice in transportation hubs, shopping centres, schools, and hospitals.